CD reviews: "In Modern Times," "Dancing on the Water," "Another Time Another Space" and "M2"
These reviews first appeared in the May 28, 2001 edition of the American Reporter. The entire existence of so-called "smooth jazz" or contemporary jazz is more savvy marketing than musicology. Simply an updated version of what had been labeled easy listening a generation before, smooth jazz is relaxation music marketed to a generation that considers itself too hip for Ray Conniff or Herb Alpert. Not that there's anything wrong with pleasant music  not everyone has to be on the edge (and if they were, were would the edge be?). As the ulta-hip blues/jazz diva Jeannie Cheatham once chastised me, "Don't you go knocking Ray Conniff  I love Ray Conniff's music! Sometimes you don't need to think, you just want to relax." Spyro Gyra's tropical-tinged instrumental pop has always hearkened back to Alpert's best recordings with his Tijuana Brass. Smart, upbeat music with memorable melodies laid over an easy R&B groove, Spyro Gyra first came to national attention in the early '80s with a string of hugely popular LPs and increasingly lucrative tours. Founder/saxophonist Jay Beckenstein and keyboardist Tom Schuman have been together almost a quarter-century now; if the rest of the band changes, that duo's solidity has been more than enough to maintain a certain sound, a consistent approach. On their most recent release, Beckenstein shows that he retain both the ability to turn out catchy pop tunes and his signature light, bright tone on saxophone. "Feelin' Fine" is as tight a song as Spyro Gyra ever recorded, equal to their smash hit "Morning Dance." The rest of the album is similarly accessible, listenable and, well, fun. 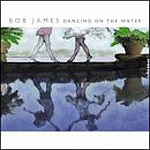 During the height of smooth jazz's popularity in the mid-'80s, Bob James was one of the reigning kings. Alongside Spyro Gyra, Kenny G, Fattburger and George Benson, James was all over the radio, headlining shows all over the country, and selling records by the bushel. His '86 album with saxophonist David Sanborn, "Double Vision," and his '82 outing with guitarist Earl Klugh, "Two of a Kind," both rode high on the charts and helped make James a star. Like George Benson, James had started his career as a serious jazz practitioner before moving into a more accessible vein. Interestingly, his newest recording  while still not what most jazz fans would classify as serious music  seems to be moving him closer to his roots in the experimental. The 11 songs are divided between James playing solo piano, in a duet setting with Joe Sample of The Crusaders, on a shared piano with Keiko Matsui, or James on piano joined by bassist Dave Holland or guitarist Chuck Loeb. The opening piano duet with Joe Sample of The Crusaders is meatier than anything either of them has done in a while, and is an introspective hike similar to those of new age pianist Liz Story. The solo piano tracks are in a similar vein, and display a thoughtful, if not particularly exploratory artistry. The two tracks with Matsui come closest to restoring James to true jazz; whether his fans who know him from his more accessible material will care for the weightier material is an interesting question. The title track, on which James is joined by Loeb, is the most like James' '80s popular material. While that's his signature sound, it seems almost an odd fit here given the other, more interesting directions in which he's moving. Featuring a sound as bubbly and listenable as Spyro Gyra's, Citrus Sun erred only in not having come along about 15 years earlier. Of course, 15 years ago, Citrus Sun's various members were still playing with outfits like acid-jazz pioneer Incognito or the funk outfit Average White Band. While much of smooth jazz is dismissed by jazz purists as "jacuzzi jazz," Citrus Sun is more like beach jazz  only a real ogre could dislike music with such great melodic themes. Deride the fact that they don't improvise much here (even though all of its members are more than capable of improvised solos), but don't knock the tunes. Every single song on this album could legitimately be a hit  they're that good. The rhythms are solid, too  no slow grooves, these guys are capable musicians who turn in some fine R&B playing. Marcus Miller is to the electric bass what Tower of Power was to horn sections  the omniscient session player, seemingly on everyone's albums. From David Sanborn to George Benson, Jay Beckenstein to Miles Davis, Miller's meaty bass lines have been heard nearly everywhere. 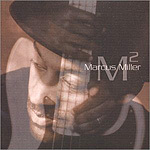 On his new solo outing, Miller has surrounded himself with talent like Branford Marsalis, Herbie Hancock, Hiram Bullock, Wayne Shorter and Hubert Laws. One of the world's best bassists, grouped with some of the top players in jazz ... and yet it falls a bit flat. What's a bit disappointing is that someone who had the chance to play with Miles would play it so safe out on his own. In Miles, Miller got to play with one of the greatest jazz trumpeters of all time as well as an inveterate innovator who changed the direction of jazz at least three times. On his new album, he creates some admittedly strong R&B, but you still get the feeling that there ought to be more. George Porter Jr., Jamaaladeen Tacuma and the late Jaco Pastorious have all managed as leaders who play electric bass to create music both immediately accessible and funky, and also catering to a deeper palate. Miller is certainly capable of that type of artistry. Whether he gets there  that remains to be seen.